Pichia pastoris is a widely used host for recombinant protein production. The foaming associated with culturing it on a large scale is commonly prevented by the addition of chemical antifoaming agents or “antifoams.” Unexpectedly, the addition of a range of antifoams to both shake flask and bioreactor cultures of P. pastoris has been shown to alter the total yield of the recombinant protein being produced. Possible explanations for this are that the presence of the antifoam increases the total amount of protein being produced and secreted per cell or that it increases the density of the culture. 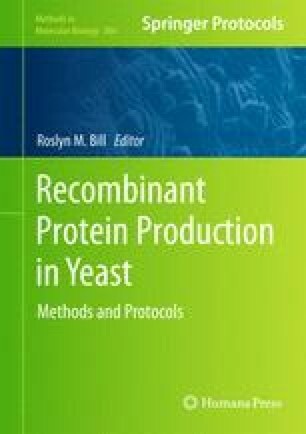 Antifoaming agents may therefore have specific effects on the growth and yield characteristics of recombinant cultures, in addition to their primary action as de-foamers.